A sphere is the optimal geometry for a closed pressure vessel because it is the most structurally efficient shape of both. This document provides an example of numerical analysis for a small spherical pressure vessel with an external cylindrical nozzle. Geometry model can be created directly or imported to midas NFX from an external CAD software. 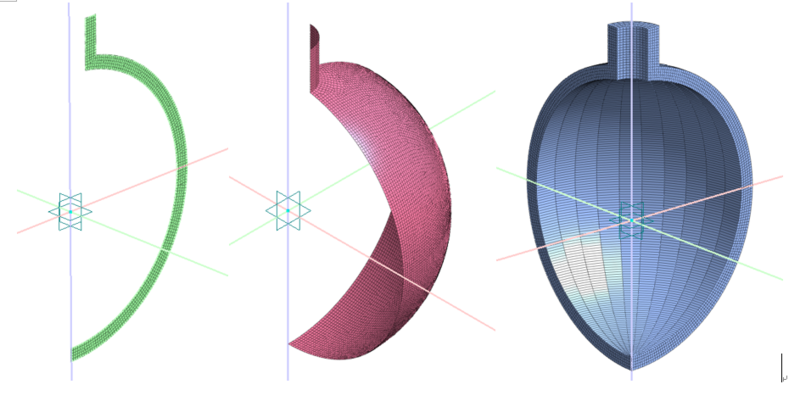 Less complex geometries can be created directly using the tools for geometry generation. Sketch translation with snap to intersecting curves. Midas NFX uses the imported geometry as the base of the FE Model. Midas NFX allows working directly on curves, 2D surfaces or solids. 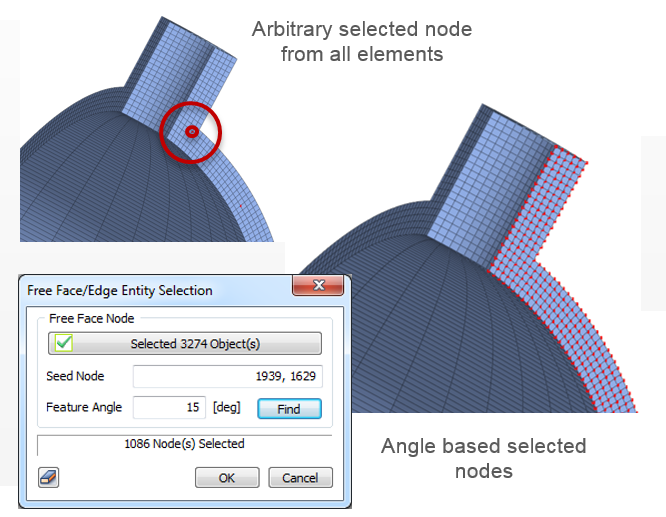 FE model can be associated or not with the geometry, depending on the choice of the FEA Analyst. 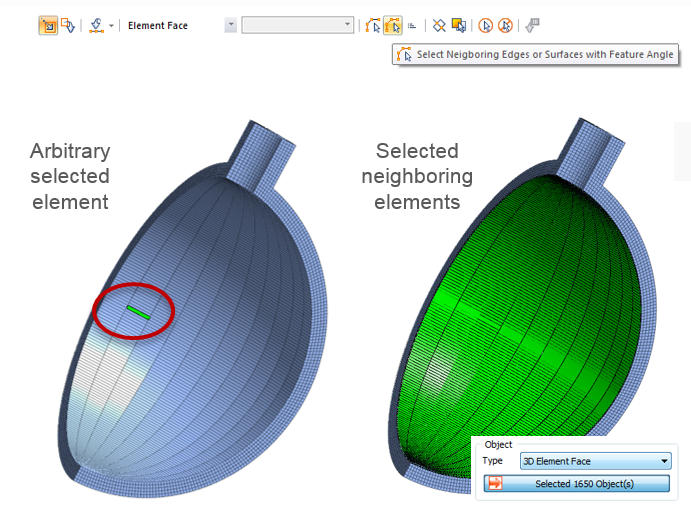 Working with mesh elements directly allows more flexibility for advanced users. Mesh elements can be extruded, revolved and properties can be modified. The geometry of a spherical pressure vessel allows modeling with asymmetrical elements, 2D shells and solids. Each type of FE representation requires proper constraints and load assignment. Midas NFX offer a wide variety of loads which can be applied to geometrical entities such as points, curves, surfaces or directly on nodes or elements. One of the most important steps in finite element analysis is to apply the proper constraints. 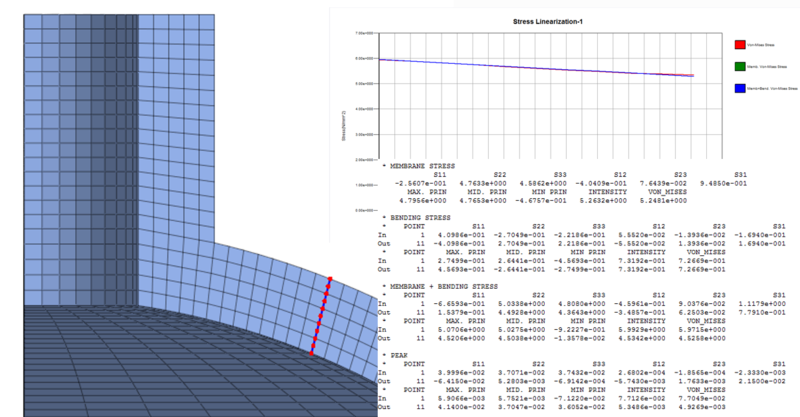 For 2D and 3D axisymmetric models with pressure loading, we use symmetric definition. 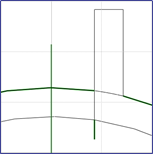 In case of presented 2D axisymmetric model, point constraint will require balancing from loading. Working on mesh requires different tools for loading and boundary condition application. Pressure application can be slightly more difficult to be assigned, especially for complex shapes and high number of elements. Selection features are very helpful for quick and effective element selection for loading condition application, especially the “Select Neighboring Edges” feature. Different FE Models lead to results with different level of accuracy and require different post-processing techniques to extract efficiently the results. Results obtained look similar, but an attentive investigation and comparison of the results is generally required before taking any important decision.